First produced in 2009, the 'Most Wanted" series of artworks, based on police mugshots of famous icons went on to become a best selling international published print edition. Limited edition prints and mixed media originals of the series are now owned by several thousand collectors worldwide, including many high profile personalities. Known collectors include: Liam Gallagher, Ozzy Osbourne, Jack Osbourne, Gary Neville, Ali Campbell (UB40), Horace Panter (The Specials), Jane Moore (Loose Women), Nick Knowles and Henry Holland. To celebrate the 10th anniversary, a brand new series of fine art prints has been produced using re-mastered images. The collection includes some previously unseen mugshots with new colours and print designs. These archive quality Giclee prints are available in small ‘boutique’ editions of 20 to ensure exclusivity and are printed on high quality 310gsm Hahnemühle matt textured fine art paper. In 1964 he was commissioned to produce a large mural to decorate the facade of the New York State Pavillion at the 1964 New York World Fair. 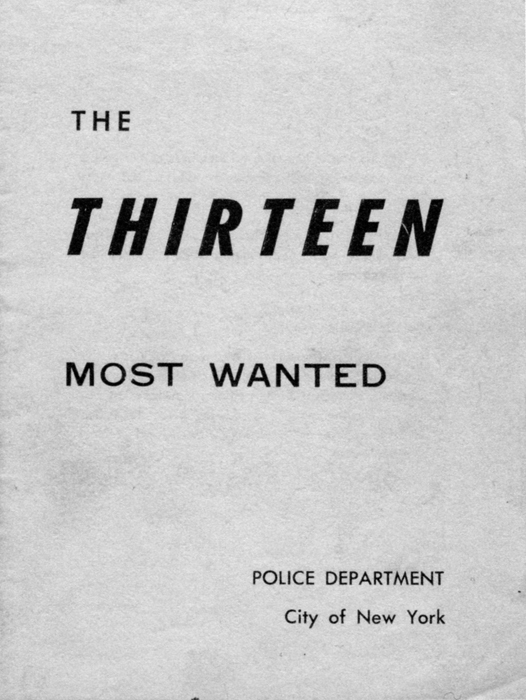 For the project, Warhol used the mugshot photographs of thirteen men wanted by the NYPD featured in a brochure called ‘Thirteen Most Wanted’. However, there were objections to the mural from a New York governor who thought it would be insulting to his Italian constituents, because most of the men in the mugshots happened to be Italian mafia hoods ! Warhol had to replace or remove the mural before the fair opened. Warhol insisted that the images were covered with silver paint, so that the memory of the censorship should remain. By 1956 Elvis was already a global superstar, but like all fit, young, American men at that time he was required to do National Service. This mug-shot was taken shortly before he received his first army haircut as he started his active duty on 24th March 1958. Although he was offered the chance to enlist in special services to entertain troops, he chose to serve as a regular soldier, which earned him respect in the public eye. He was stationed overseas in Germany until he left active duty on 5th March 1960. It was here he met Priscilla Beaulieu, the stepdaughter of an air force captain who he later married. Bowie was arrested on March 21, 1976, after a performance in Rochester, New York. About half a pound of marijuana was confiscated by the police. Bowie was held with three others — including musician Iggy Pop, for three hours and then released on $2,000 bond. Bowie later pleaded not guilty and a grand jury decided to pass on the case. Frank Sinatra was arrested by the Bergen County, New Jersey sheriff in 1938. 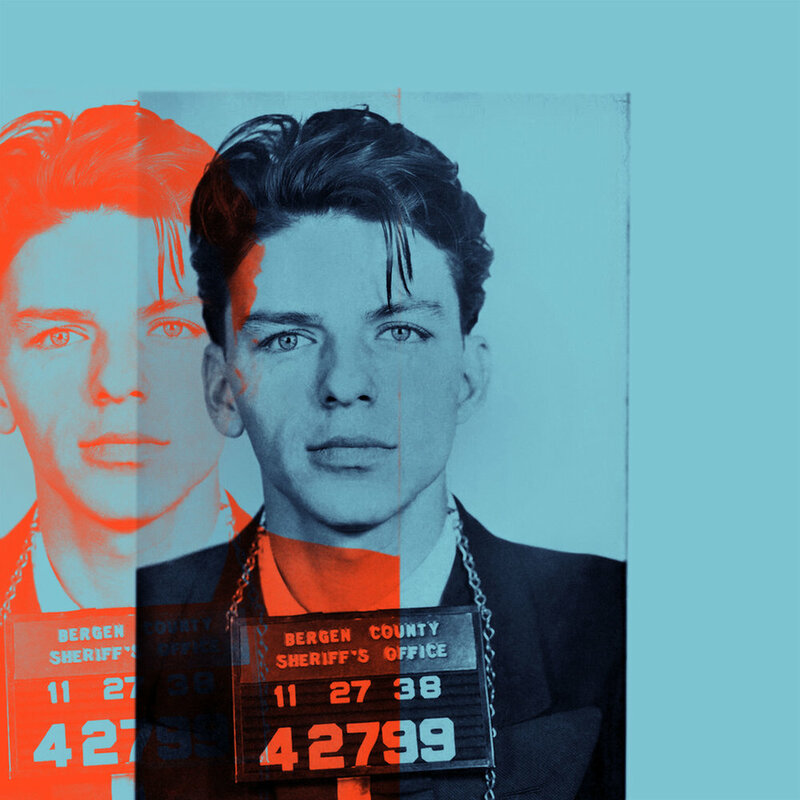 A 23-year-old Sinatra was officially arrested and booked for ‘Seduction’. The charge was eventually dropped when it was discovered that the supposedly single woman was in fact married. Later that year, armed with this new information, the original charge was revised slightly, and Sinatra was again arrested - this time for Adultery! A bond was set for Sinatra, which he promptly paid, and he was released. The Adultery charge was later dropped and in total, he spent only a few hours in jail as a result of the situation. This previously unseen mugshot of Johnny Cash was taken at Folsom Prison in 1966, the first time he performed there, apparently as a joke with the guards. Jimi Hendrix was arrested at Toronto International Airport airport in May 1969 after customs inspectors found heroin and hashish in his luggage. Hendrix, who claimed the drugs were slipped into his bag by a fan without his knowledge, was later acquitted of the charges.